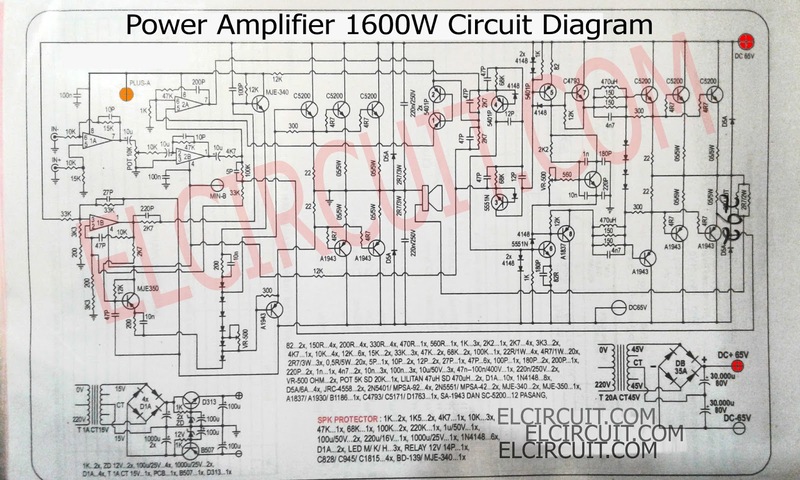 This power amplifier circuit is a 1600W at 8 Ohm mono circuit that uses transistors as an amplifier. 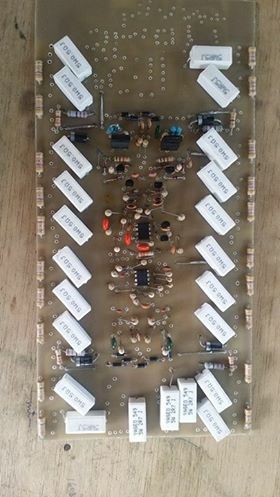 Almost same with 2800W high power amplifier circuit, For stereo power amplifier circuit, you can use this circuit 2x and will issue a power of 3200W. Let us first see the circuit schematic below. 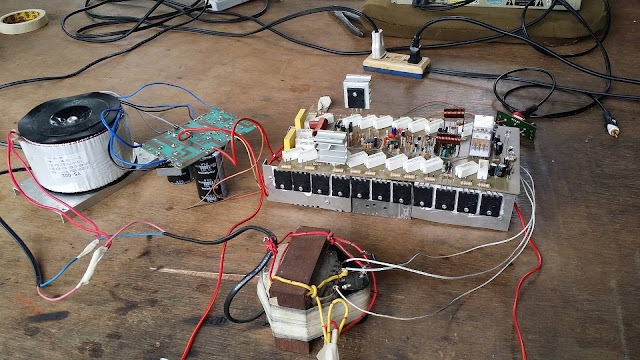 In the buffer circuit coupled with op-amp ic 4558, supplied 15VDC voltage, circuit power supply you can see in the picture is flavored transistor D313 and B507. Driver circuit using transistor MJE340 MJE350. 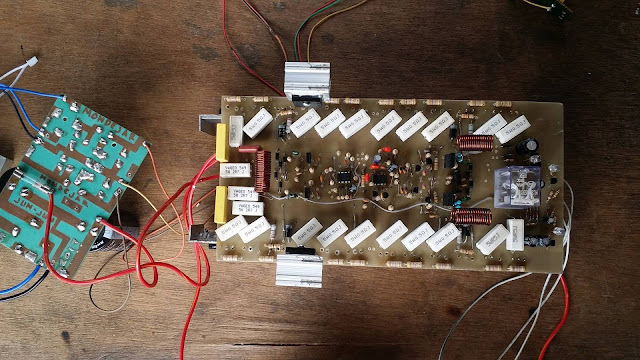 For use transformer, it's using one transformer by one circuit mono. CT of the transformer is not connected to the ground, will be a short-circuit. 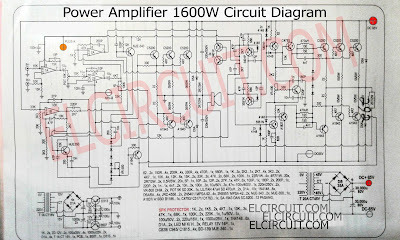 Due to this 1600W power amplifier circuit just use a plus and minus voltage only. The Power amplifier using final transistor 2SA1943 and 2SC5200 12 Set, for more powerful output amplifier using an original transistor. 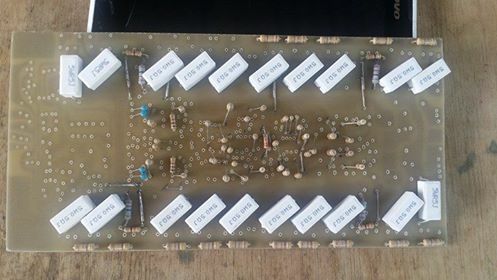 You can see the PCB Layout transistor as many as 12 sets by channel (Mono Amplifier) in order to issue a power of 1600W or 1,6kW at supply voltage 65VDC. 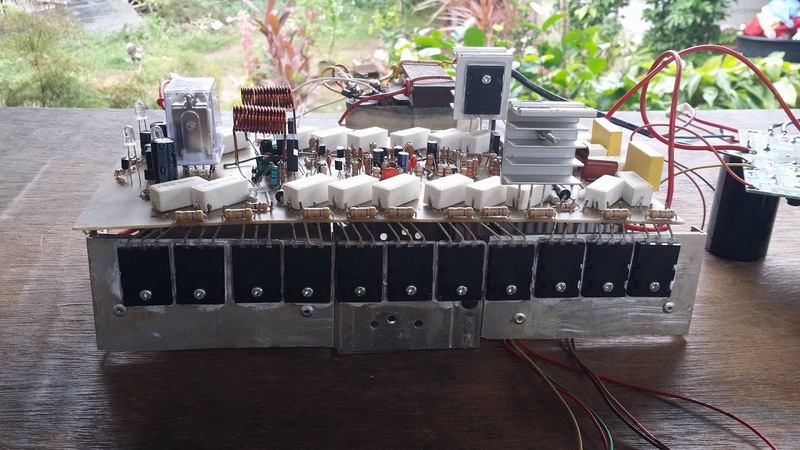 what the amperage the transformer for power amplifier? If iam use 5A transformer, what the impact? 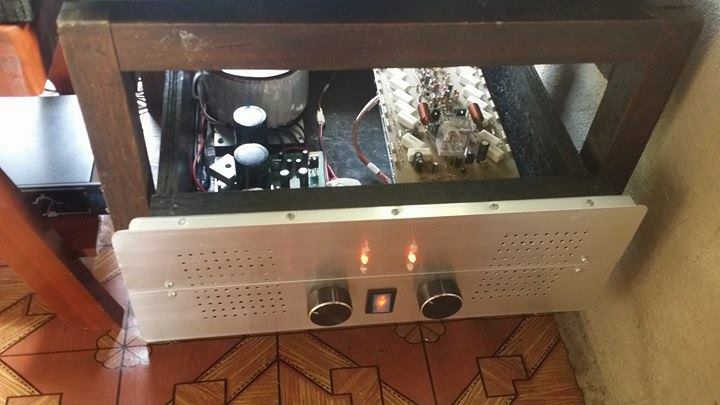 it less current voltage.. so the power amplifier output give less power . 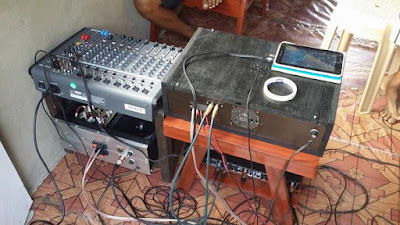 so it can affect for speaker used. can i use 1/4 watt for resistor? yes you can use it for the driver, buffer,and speaker protect circuit. 1600W ??? on what kind of load? obvious bad pcb layout for those outputs, their legs far from straight. needs a lot of work to make this layout better. yes it so difficult to make this layout. but its tested amp and powerfull sound output. Certainly NOT with 65V rails. i dont have the proteus file sir. 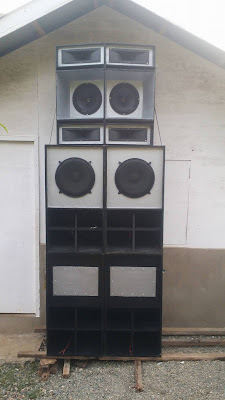 this is ground bridge system, like a crown macrotecth series or rdw too,..
Ini bli di madiun bnyak mas. You may use the minimum voltage about 60vdc up 100vdc symmetrical power supply. 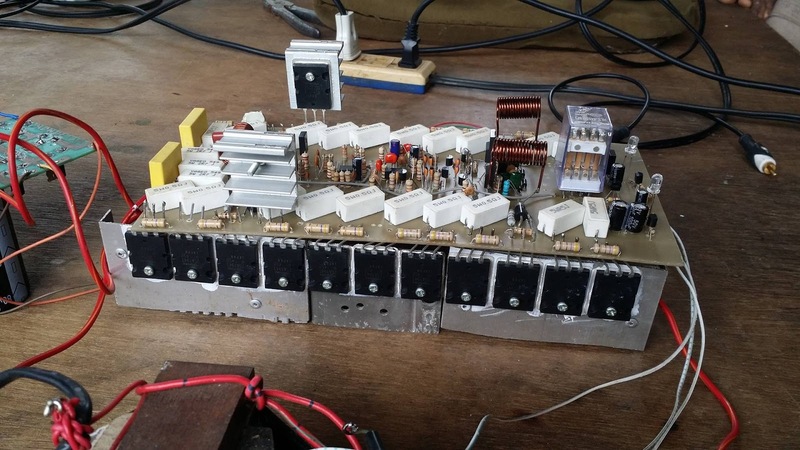 It's recomended voltage power supply. And use minimum Amperage rating of transformer 20Ampere, for good performance amplifier. Please see at the post first for detail components and pcb layout. Please click the pcb and schematic for clear view. how much voltage bias this diagram?. if its just plus minus tge power cant be start, output just humming. ok sir thank you... this is my email. hello sir... i already sent my email... where is the image sir??? 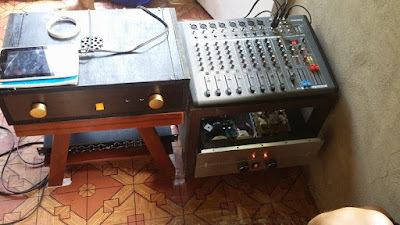 how to set the idle power in the bias voltage sir?? 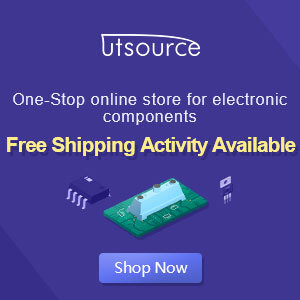 PCB Layout is attach on post, and description on post. sir 1600 w ,what is a good power supply for that how many volts and how many amp? What about the output transformer , why it is used ? What is number turns and diametre coil and diametre cooper for coil 470uH ? ?